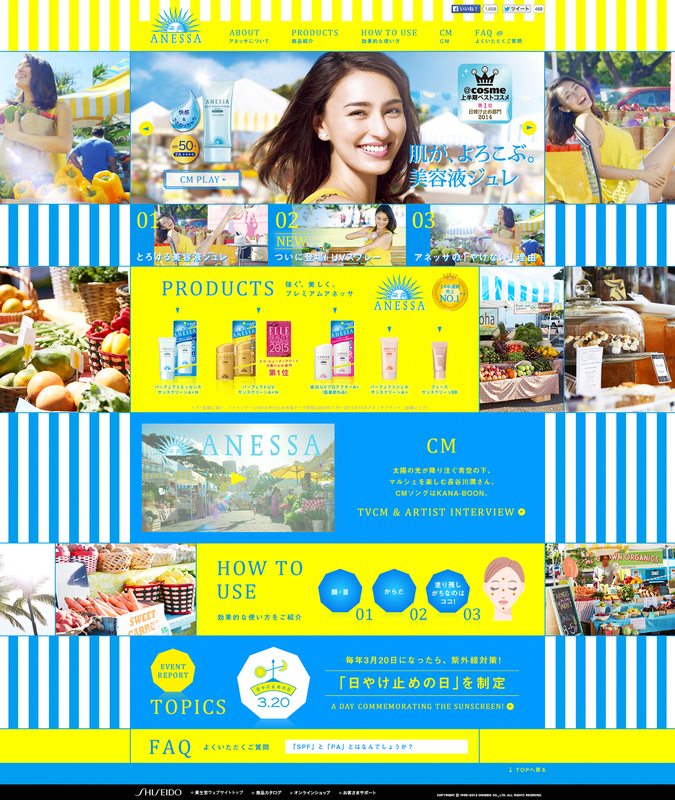 ANESSA is well-known sunscreen produced by Shiseido since 1992. 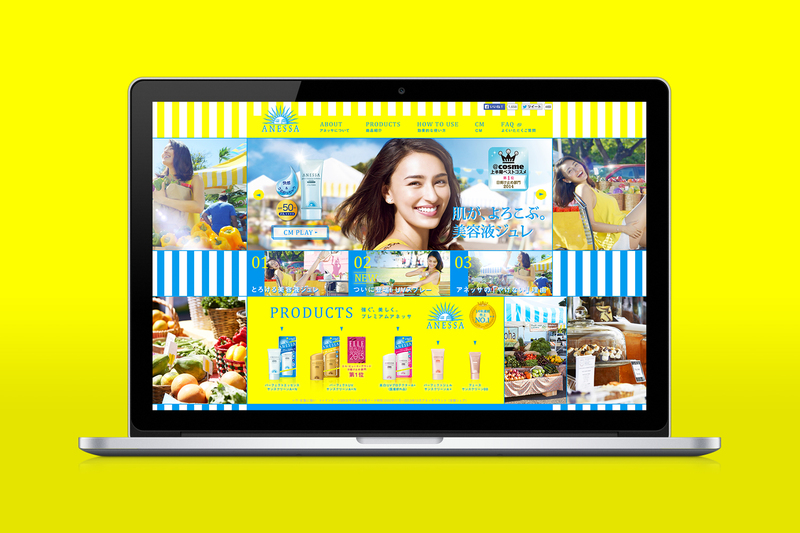 OUWN was assigned to designed a web-site of SHISEIDO "ANESSA" 2015. Two color ; blue and yellow provides a summerly striking contrast. Please do have a look.